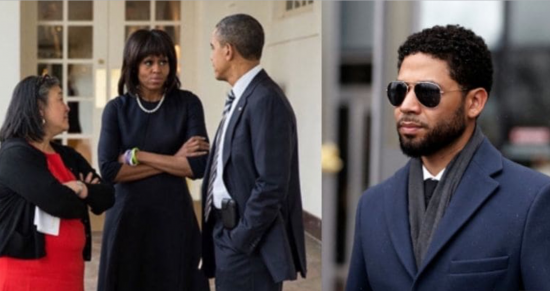 Anyone who was paying attention to details knew that the Jussie Smollett story was a hoax from the very beginning. What they might not yet realize is that there now is a hoax within the hoax. And this time it's the "fake news" Chicago media who are the perpetrators. The narrative that the Chicago Sun Times obtained the phone records of the Cook County State's Attorney, Kim Foxx, by simply requesting them is so ridiculous it belongs in the Ripley's Believe It Or Not museum. So the Sun Times wants us to believe that they just asked Foxx to turn over proof that she is corrupt and that she plans on derailing the case against Smollett, and she obliged. No, sorry folks, it just don't work that way. Not anywhere, much less Chicago. As for the Sun Times lying to us, well they really had no choice now did they? As usual they were just following orders. Not to excuse them, but they sure couldn't tell us the truth, that Foxx came to them volunteering her phone records for publication. That would raise too many questions. Incredibly, after publishing the texts from Foxx, that in the real world mandates a federal investigation, the Sun Times editorial board is telling us the Feds should stay out of the Smollett case. The Sun Times editors must think their readers are really stupid. Perhaps they are? I wouldn't know. But, I can tell you with certainty, believing what you read in the Sun Times is definitely stupid. Why did Foxx and friends want the public to know that the Smollett case was being fixed at the behest of the Obama clan? What exactly are Obama's Social Justice Warriors up to? Judi McLeod at CanadaFreePress.com is on the right track in her thinking. ‘Lie King’ Jussie Smollett Major Distraction For Mueller Investigation Release? Note. Editors at the Chicago Sun Times were contacted. They refused to provide any answers related to their Smollett case records request. Rod Blagojevich: How could I be guilty of selling, if Jesse Jackson Jr. was not guilty of buying? It's only a matter of time before we hear Rod Blagojevich's advocates ask the question: How could Blago be guilty of trying to sell the U.S. Senate Seat that Barack Obama vacated, if there was no buyer?That's coming, as part of the puppet show staring Blago. There was a buyer. But the feds just put him on ice with an indictment that could have, should have, been issued years ago. The timing of the U.S. Attorney's office (USAO) in Washington, DC decision to stop looking the other way as Jesse Jackson Jr and his wife Sandi broke campaign finance laws, could not have been better. That is, if your goal is to protect Barack Obama and his administration from Chicagogate. Jesse Jackson, Jr. has presented a dilemma for the Obama administration since the USAO in Chicago gave the go-ahead to the Chicago Tribune to warn Rod Blagojevich that the feds were recording him. It was a warning given in order to save Jesse Jackson, Jr. from being arrested in a trap set for Blago. After all, not only did Jackson Co-chair Obama's 2008 Campaign Committee, Obama and Michelle are near Jackson family members. And J.J., Jr. knows too much - way too much. However, as the Jackson's are learning, even family members are expendable if it means protecting the Obamas. When J.J., Jr. resigned from congress not only did his political career end (perhaps), the investigation into his attempt to buy a U.S. Senate Seat ended, too. And, the reason Jackson resigned? The USAO in D.C. decided to indict Jackson for crimes the Attorney General had known about for years: Jackson's violation of campaign finance laws. Simultaneously, the DoJ is protecting Jackson from being indicted for a different crime that the Attorney General has known about for years: Jackson's attempt to purchase a U.S. Senate Seat from then Governor, now federal prisoner, Rod Blagojevich. It is all part of the puppet show. And the media is doing their part, by being complicit in covering up the entire story. Here's a radical idea. Suppose some media personality asks John Chase, and the Chicago Tribune editors, this question: Why did you warn Rod Blagojevich he was being recorded by the feds? 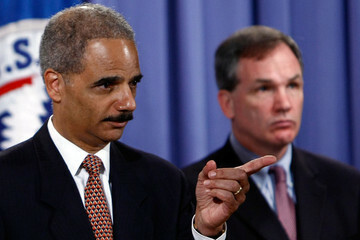 Previous Illinois PaytoPlay (IP2P) articles have proposed that the U.S. Attorney’s Office (USAO), once led by former U.S. Attorney Patrick Fitzgerald, timed the arrest of former Governor Rod “Blago” Blagojevich in order to prevent persons representing Congressman Jesse Jackson, Jr. from paying a bribe to Blago in exchange for Blago appointing J.J., Jr. as the new U.S. Senator for the seat vacated by recently-elected President Barack Obama. A recent article in World Net Daily, written by best-selling author Jerome Corsi entitled “Jesse Jackson, Wright 'arranged' Obama marriage,” adds credibility to what IP2P has alleged; namely,that the timing of Blago’s arrest was not motivated by a desire to stop a “crime spree,” but was meant to save J.J., Jr., from being complicit in the crime associated with purchasing a Senate seat. “As a young single woman, Michelle Robinson was a fixture in the home of civil rights leader Jesse Jackson, who along with Rev. Jeremiah Wright ‘arranged’ her marriage to Barack Obama, according to sources in Chicago who know the couple. ‘If you want to understand Michelle Obama, you’ve got to go back to Jesse Jackson, a woman called “Robyn” for this article told WND. This article is the second in a series. In the first installment, Corsi claimed that Obama was part of an “underground subculture in the black community known as Down Low, comprised largely of men who secretly engage in homosexual activity while living ‘straight’ lives in public.” And, that Reverend Jeremiah Wright’s church was a facilitation center for this underground subculture. Putting that assertion aside, the close relationship between Michelle Robinson and the Jackson family adds weight to IP2P’s suggestion that the newly elected President would have taken all necessary steps to protect J.J., Jr., who was not only the Co-Chair of his Presidential Campaign Committee, but also a member of a family with a long and close personal relationship with Michelle Obama. Then there’s also the possibility that J.J., Jr. would be knowledgeable of Barack Obama’s alleged involvement in the “Down Low” community. Illinois PaytoPlay has learned that Nadhmi Auchi’s London-based law firm, Carter-Ruck, recently demanded that the American Thinker website remove the piece below that refers to their client and his association with Antoin “Tony” Rezko. Until US law changed in 2010, making the US press no longer subject to British libel law, Carter-Ruck was able to successfully intimidate US websites into compliance with its demands. AT pulled the piece briefly while it verified the accuracy of the information concerning Auchi, and then reposted the original, unchanged. Meanwhile, the two big Chicago daily papers continue to ignore the Auchi-Rezko-Obama connections. The linkage between Illinois and U.S. Senator Obama's network of Arab-American supporters in Chicago is cracking open. Less well-known is a cluster of Chicago businessmen who formed an Arab-American network at the heart of Obama's political apparatus. Ray Hanania, a Chicago-based Arab-American journalist and activist, described the network in a 2007 interview with Chicago magazine as "a small cluster of activists" in the business community who were politically involved. Chief among them was Obama mentor Tony Rezko. Born in Aleppo, Syria, home of strongman Bashar al-Assad, Rezko migrated to the U.S. in the late 1970s andbuilt a political and financial empire in Chicago and Springfield, the Illinois capital." The Washington Examiner article also mentions Rezko's close association with "Nadhmi Auchi, an Iraqi-British businessman and former Iraqi Baathist who was on a terror watch list and thus barred from entering the United States." John A. Shaw, former senior official of US Defense, State, and Commerce departments, who has called Nadhmi Auchi "Rezko's bag man in Chicago," was responsible for Auchi being put on the terrorist watch list. His description of Auchi can be read here. "This is interesting, and gives a sense of how wide the Arab net was cast over the Chicago scene. Auchi was the money man for the whole network. His visa was revoked, as you know, not because he was a Baathist once upon a time and was listed as a terrorist; it was specifically because of our report in May, 2004. That prevented his planned return to Chicago in the fall to build on the Rezko land deal to become the Olympic village and God knows what other plans. His feting of Jesse Jackson in London shows that he has continuing involvement in Chicago and expects his visa to be restored by Obama when he pardons Rezko and Blago in January. The game is not over; it has only begun...(Would be interesting to look at Auchi investments in the Detroit area and his role in the Arab spy ring operating out of Detroit). "Now that we know Auchi was involved with Rezko in a cross section of Iraqi contract schemes, with 22 trips to Damascus and Baghdad between 2003 and 2005, the dimensions of what was in prospect in Chicago becomes clearer. The focus on health and medical schemes and scams in Chicago was paralleled in Iraq, with Auchi getting the British-Iraqi Hospital. The ministry of Health was the fountainhead of corruption for all of Iraq reconstruction, and the ties in Chicago and Illinois were calculated to be a similar bonanza. "Valerie Jarrett hired Michelle Obama as part of her hospital management company at a salary of over $300,000, and Jarrett was a key player in the quest for the 2016 Olympics. It was peculiar that Obama did not pull out all the stops when he and Michelle went to Copenhagen to press the International Olympic Committee. I would bet that with Rezko convicted and Blago on the way, and the revelations about Auchi involvement and support in Chicago, the bid had become problematic and a real danger. He may have passed the word to the committee that his trip was only pro forma. I wouldn't be surprised." The Chicago media ignored, or only made superficial inquiries into, Obama's association with persons of interest in the Arab-American community, like Rezko and Auchi. Meanwhile, the former U.S. Attorney in the Northern District of Illinois, Patrick Fitzgerald, used delayed sentencing tactics to keep those who could shed light on Obama's connections with Rezko and Auchi quiet.